December has not been a good month for Old Blue. Old Blue has spent a lot of time at the dealer this month and will even spend a little more time next week. Along with the flat tire I had a dying battery that only had one start in it that night. I was also due to have an oil change, but was not able to take the time the morning I had the flat tire fixed and the battery replaced. So, on Friday night I dropped the car by the dealer so they could do an oil change while I slept in on Saturday. However, even with the instructions and signature that I left, they still needed to get my verbal approval before they started. So, even more time and a delay to my Saturday since I had put my phone in silent mode. As I was leaving after picking up my car after the oil change, the next part of the saga was beginning. I looked at the inspection sheet and noticed that a rear brake was marked in red for immediate attention. Of course I wondered why I had not been told about this earlier. Perhaps I could have had the brakes taken care of at the same time? 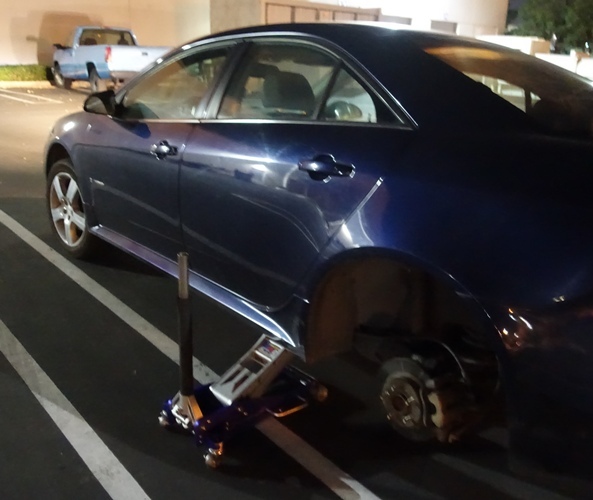 In fact, why was it not noticed while they had the tire off while having it repaired? I could have had the oil change and brake job all combined in one visit. So, this week since I wasn’t in the classroom and have a little more flexibility I decided to get the brakes replaced. I also needed to do it during the week as I had to get a smog check done on Old Blue. Yesterday ended up being a long day as it took almost two hours longer than expected to finish the service. I worked away on my laptop in the waiting area and got a lot accomplished including a conference with colleagues in Germany. Was the saga over? I first started to get an inkling that something was wrong when I stopped back by home for lunch. 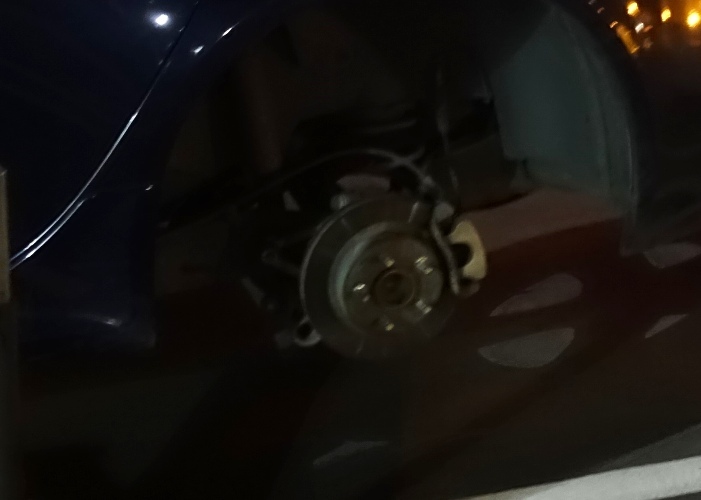 There was a strong brake smell that I chalked up to new brakes. 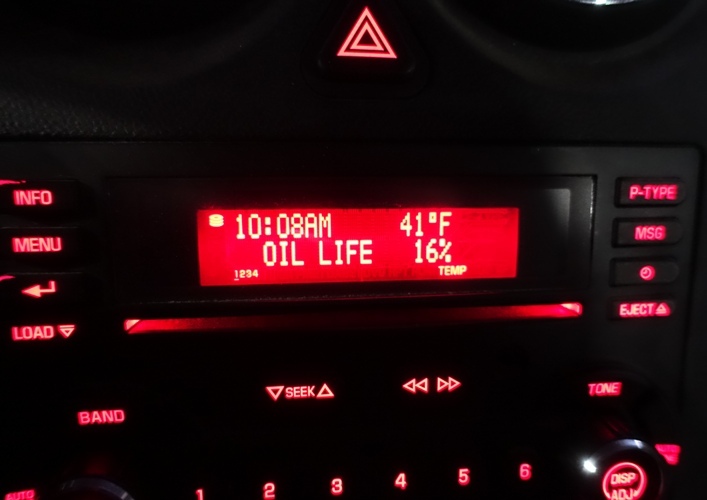 Then I noticed that I was not quite getting the gas mileage that I usually get on my way to and from work. This puzzled me a bit. However, the clincher was walking past my rear tire in the garage and feeling the heat radiating off of the brake. 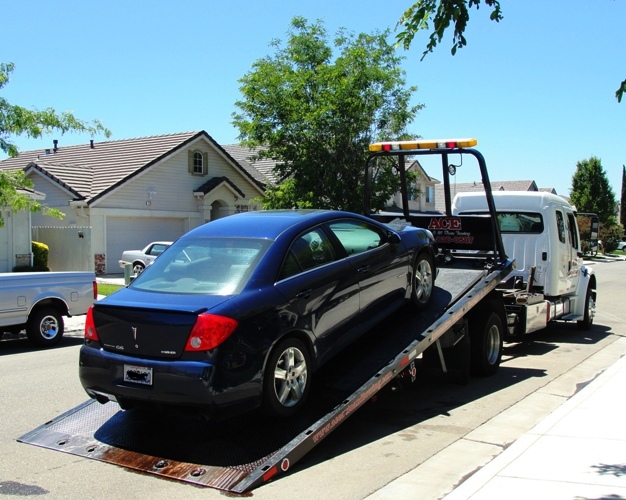 No, I did not have to have my car towed in, but I did have to go back to the dealer again this morning and wait for another couple hours for them to repair the brakes. Something about a piston and a pin that was keeping the calipers from retracting. I now have to go back again sometime next week to get a replacement for the new brake pad installed as they did not have another one in stock. The new one had significant irregular wear from the position it was stuck in. It is a good thing that the dealer has good wi-fi in the waiting room as I again was able to get a lot of work done while waiting. So, Old Blue gets another trip to the dealer this month. At least I have most of next week off to get it taken care of. I am thinking about dropping Old Blue off and walking across to the theater to see the new Star Wars movie. 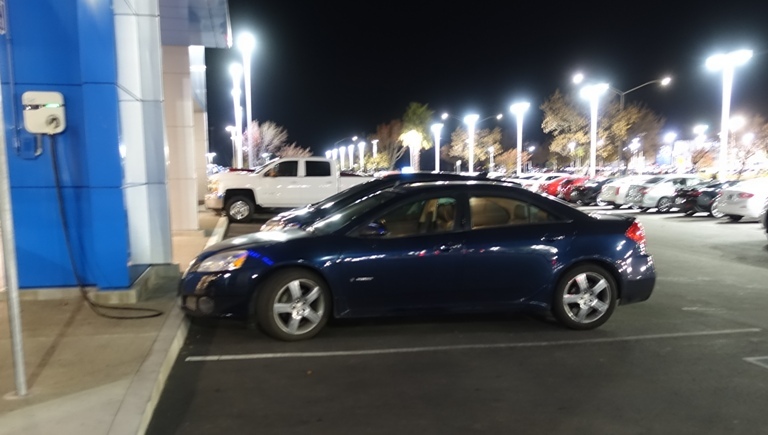 This entry was posted in Culture, transportation and tagged Blues, Brakes, Car Dealer, Car Trouble, Oil Change, Old Blue, Pontiac, Smog Check, star wars, Waiting Room, wi-fi. Bookmark the permalink.